Bridesmaid and Bride Hanger - Personalized for Wedding and Special Events - For Bridal Party Gifts & Wedding Photos! Baby ID Foam Bracelet for Twins, Triplets and All Multiples Mamas! Announcement Thank you for looking at To a T! What started as helping friends and family plan events has turned into a passion for personalized gifts & decor! If you see something you like but need it changed in any way, please don't hesitate to contact me before buying, and we can work out the details so you are getting exactly what you envision. Production time listed is an estimate, not a guarantee - I will do everything in my power to get your order to you as soon as possible. Each item is handmade, so I appreciate your patience to ensure everything is perfect for you! **Please be sure to read the Production Time before ordering. 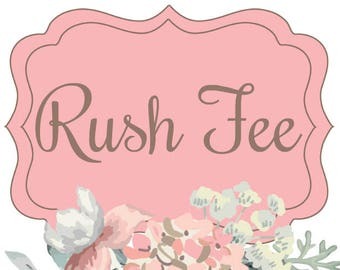 If you need something in a hurry, we need to discuss your timeline via Etsy conversation first. I cannot honor “I need these by _____” in the comments section if we haven’t spoken. Thank you for understanding! Thank you for looking at To a T! What started as helping friends and family plan events has turned into a passion for personalized gifts & decor! If you see something you like but need it changed in any way, please don't hesitate to contact me before buying, and we can work out the details so you are getting exactly what you envision. Child Size Bridal Party Hangers - Perfect for Flower Girl or Jr. Bridesmaid! Monogram Hangers - Personalized for Bridesmaids, Prom or Communion! New Jersey Keychain with Lilly Pulitzer Inspired Pattern - Be NJ Proud! 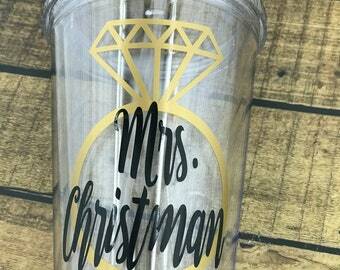 Personalized Tumbler Cup with Straw - Perfect for Bridesmaids, Teachers and Friends! Pineapple Tumbler Cups - Personalized with Your Name! Anchor Wine Glasses - Personalized with your Name! This item looks amazing on my Jeep! It’s a great quality decal. And it arrived very quickly. Only thing is I wish it came with some instructions. Since all items are custom made to order, I unfortunately do not accept returns or refunds. If you need something urgently, please message me first.